Does it seem like your timeshare fees are out of control, spiraling up until they’re just not worth it anymore? Are you feeling the pinch, as this takes an ever-bigger bite out of your budget? Do you kick yourself every time the bills come in, and question why you’re in this situation? Do you wish you could just get rid of the thing? If you’re looking for an exit plan from your timeshare, here’s a possibility from Diamond Resorts. Your timeshare must be fully paid for, and all current fees paid up, in order to participate in this. You send an email to Diamond’s loss mitigation saying you would like them to take back your timeshare, and why (e.g. financial hardship, medical condition). This is a voluntary surrender. They review your case, and decide whether to accept it. It seems that most (but not all) cases have been approved recently. If accepted, they send you some paperwork with instructions. You follow the steps and pay them a $250 fee per contract. They take back your timeshare. After the process is finished, you are no longer the owner. NOTE: If you talk to Diamond employees outside this specific group (e.g. call a different phone number, or ask a salesperson), you will probably be told that Diamond has no plan to take back timeshares from owners. It seems that they only share this information with a small subset of employees, and don’t want the plan to be too well known. This will only work if you follow very specific instructions. Is this a good deal for owners? GOOD NEWS: You get out of your timeshare, free and clear. First of all, I think it’s laudable that DRI does have an exit mechanism for owners who want out. One of the issues with the industry is that some owners are stuck paying for timeshares that are difficult to sell. (See the Blue Week Blues for more on this…) They have little or no control over escalating fees, while being locked into a contract with no end. This DRI plan is not ideal (see more below), but it does offer relief to quite a lot of timeshare owners. You can avoid the scams, and deal directly with the company. There have been numerous scammers who target timeshare owners who are desperate to get rid of their timeshares. A typical scenario is that you pay them thousands of dollars up front, and then get no results, accomplishing nothing except lining the pockets of some unscrupulous crooks. With the Diamond plan, you know exactly who you’re dealing with, and it’s definitely legitimate. It’s fairly fast in most cases, and relatively painless. Once you get an answer from them, all you need to do is follow the instructions. Selling a timeshare on your own (or through a timeshare sales company), you never know how long it will take. Some people spend a long time trying to sell less-desirable timeshares. They accept almost all DRI timeshares, both deeded weeks and points. Exactly what they accept could vary over time, but recent results are encouraging. As of April 2016, a survey by the Timeshare Users’ Group shows a 93% approval record. BAD NEWS: You get less than nothing for your timeshare. Say you paid $50,000 for your timeshare. If you go this route, then you get absolutely nothing in return for that $50K. In fact, you need to cough up another $250 in order to buy out of your agreement. You eliminate future fees, but your initial purchase money is down the drain. Some companies exercise a “Right of First Refusal” clause, where once you find a buyer for your timeshare, they have the right to buy it from you at that price. In that case, they actually pay you real money for your timeshare. With this DRI deal, you’re paying them to take your timeshare, not the other way around. They don’t accept everything. Some rejection notices include specifics like “currently, we are not accepting properties back from Los Abrigados Resort and Spa,” while others are more vague. The criteria aren’t published, and it is quite possible that they change over time as inventory fluctuates at different locations. The only way you’ll know for sure is to try. Why pay to get rid of a timeshare? Why would you PAY somebody to take a timeshare off your hands? In addition to general timeshare resale issues, there are a couple of other factors at play specifically with Diamond. Business model. Diamond Resorts is active in buying out other timeshare properties in order to increase their inventory, as opposed to building their own new resorts. These properties may be in some financial distress at the time of the purchase, and could need a fair amount of maintenance and refurbishment to bring them up to Diamond’s standards. The cost for this can mean a steep jump in maintenance fees for existing owners. Los Abrigados in Sedona is one example of this. After Diamond bought the property, the fees jumped steeply, to a point where it became less expensive to rent a week there on the open market than to pay the annual fees. Why would somebody buy your timeshare, when they could get the same vacation for less money with no on-going obligation? This makes it very difficult to sell. In addition, some owners wind up with legacy points from a company that no longer exists. For instance, Monarch Grand Vacations was taken over by Diamond Resorts. Owners of MGV points were offered opportunities to convert their ownership to DRI points (for a few thousand dollars), but understandably not everyone wanted to do this. Their MGV points can still be used for vacations, but it complicates the issue when it comes to selling the timeshare. Buyers tend to be wary of purchasing something like this because it’s difficult to understand, compared to other straightforward timeshares. Resale limitations. DRI puts major restrictions on their resale points. You can only use those points at resorts in the collection where they belong (e.g. US Collection), and can’t exchange them with Interval or RCI. While most companies have their own timeshare resale limitations, I’m not aware of any other company with such a draconian policy. As a resale timeshare buyer, why would I want to buy something that I can’t use with the big exchange companies? To me, access to those thousands of resorts around the world is a big part of the value of having a timeshare. Given a wide choice of resale timeshares to buy, I simply wouldn’t select one that I can’t easily exchange. That means a big hit to the value of DRI points on the resale market. On the other hand, buying a resale deeded week can be a different kettle of fish. We’ve done this before, and own resale weeks at Diamond Resorts properties that we can freely exchange through both RCI and Interval. From a buyer’s perspective, I’d much rather own this than the restricted-use points. From my standpoint, this looks like a brilliant plan for Diamond Resorts. First of all, they get free inventory to sell again. If you paid $50K for your timeshare, they can get it back for free, and sell it again for even more (given price increases since your purchase). They don’t need to build any resorts, or even buy another timeshare property in distress. Why deal with construction or renovation, when all it takes is a little bit of paperwork to get more product to sell? When they take back deeded weeks, they can then move those into the points program, making them part of a trust collection. This solidifies their control of any resort HOAs, and DRI also gets management fees for the trust. In the long run, I would think they’d want to convert all legacy weeks into their trust systems. It would simplify things for them to have fewer types of ownership, and it would be more profitable for them, too. It cuts down on competition. It used to be pretty common to see $1 DRI timeshares for sale. 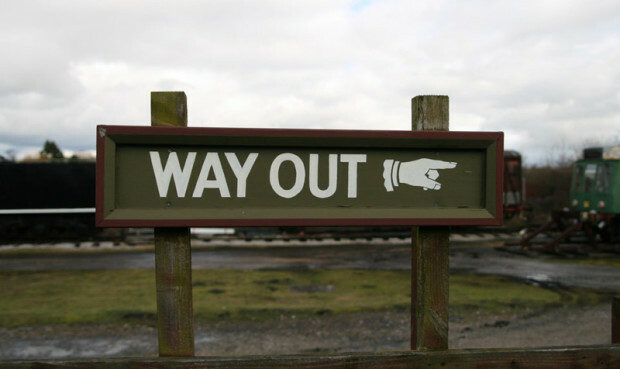 Although still available, the supply of these cheapies has been dropping since owners who want out of their timeshares are discovering this alternative exit route. This means that for someone who wants to buy a DRI timeshare or add points to their ownership, there are fewer opportunities to purchase at a bargain basement price. That means less competition for the full-price timeshares that Diamond sells. Also, it lessens the perception that DRI points are worth little on the resale market. If you look through For Sale listings and see lots of them going for $1, then you start to question why that is. Potential buyers doing their due diligence may start to get concerned. By reducing the number of these in the marketplace, the perception of value can be improved. Does this make sense for you? Or does your timeshare have enough value that you’d be better off selling it? Check How much is my timeshare worth? If you choose to sell, you can do it yourself, or go through a company like TimesharesToGo. Get moving. There is no guarantee that this program will last forever. There was a similar program before that was discontinued, so you know this could disappear at any time. Make sure you’re all paid up. If you have any outstanding bills, you cannot participate in this program, so get those wrapped up first. If you have a vacation booked, then take that vacation first. Once you do the voluntary surrender, any vacation you have reserved will disappear. You may need to weigh this against moving quickly on this deal. Include a reason. You don’t need to go into specifics, but do say something along the lines of not being able to keep your timeshare because of changes in your health or finances. Follow all instructions to the letter. If DRI accepts your timeshare, they’ll let you know what you need to do next. Rules may be different based on the type of ownership you have, or the state regulations where you own. Owners outside the US may also have different requirements. Once you’re in the process, handle everything expeditiously. You’d hate for the thing to fall through because you took too long to get some piece of paperwork sent in. Keep copies of everything. It’s ideal to have both paper copies and scanned copies of every piece of paperwork associated with this transaction. If you’re surrendering a deeded week, make sure to get a copy of the quitclaim deed once it’s processed (you might need to call DRI to request this). In case any future questions or problems arise, you’ll have the paperwork to back you up. What if they decline your timeshare? Perhaps they met an inventory quota and closed the offer for a certain destination. I’d wait a couple of months and try again. Hopefully after they’ve sold more of their current inventory, they will open up the program again. Does this sound like a good deal to you? Do you have a timeshare you’d like to get rid of? Have you made use of a deedback program, or sold your timeshare through other avenues? Share your thoughts and experiences in the Reply section below. Thanks! Buying a timeshare is a serious financial decision, that can have long-lasting effects on both your lifestyle and finances. Before you get anything, learn as much as possible about how timeshares work, and what to watch out for. 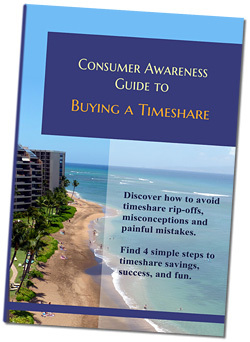 A good place to start is with my FREE Consumer Awareness Guide to Buying a Timeshare. Check it out! All images licensed under Creative Commons for Commercial Use. We enjoyed three weeks of fixed week timeshare for 28 year until Diamond entered our lives. The Diamond contract said we could sell points. However, no Licensed Timeshare Resale Broker (there are 64 in the U.S.) will buy or sell Diamond points due to draconian, as you described, restrictions. Licensed brokers will buy and sell Diamond’s competitor’s points. We did not choose to do business with Diamond. In addition to dramatically raising ILX maintenance fees, the company assigns an 18% interest rate the day the fee is due until paid in full. They employ 90 full time collectors making 100,000 collection calls per week via a dealer according to a KROLL bond report. My hairdresser’s parents had to resort to a bankruptcy attorney to stop Diamond calls. They even call your neighbors. The unscrupulous crooks you mentioned are “guaranteed deed back transfer agents” who bundle 25 to 50 contracts (at a cost of $5000 to $7000 per contract with no value to the owner). The bundle is then sold back to the developers. It’s known in the industry as “the Diamond Effect”. The company is pursuing a leveraged buyout so Front Four Capital and ADW can earn a hopeful 30% rate of return, while the elderly and ill are held hostage as described in Roddy Boyd’s article “Diamond Resorts and Its Perpetual Mortgage Machine” written for the Southern Investigative Reporting Foundation”. CEO David Palmer earned $19 million in two years while hardship cases keep paying maintenance fees. Timeshare attorney Mike Finn told me developers tell him hardship is not a legal defense. The attorney generals, with the exception of the NY AG office and possibly CA, don’t care. Pam Bondi, Florida AG shut down 41 scam re-sellers directed by ARDA because they were cluttering the field and getting in the way of the guaranteed, sub prime mortgage timeshare strategy. The points were getting out of Diamond and other developer’s control. The legislatures are swayed by timeshare lobbyists to remain firmly on the developers side. It helps to control billions. After surviving horrific aggressive sales presentations at age 78; and a contract that says we can sell but not through honest licensed brokers, I certainly feel deceived. I just hope people go through the Consumer Financial Protection Bureau (file under mortgage option even if no mortgage or orally) before the owner willingly becomes part of Roddy Boyd’s Perpetual Diamond Mortgage Machine. Thanks for your comment! You cite a number of figures that I didn’t hear before, including the collections agents. I think that high-pressure, deceptive sales tactics are the worst aspect of timeshares, and I’m always happy to hear about a case that goes in favor of individual owners and buyers. Unfortunately, the big companies have a lot deeper pockets to fight lawsuits than their customers do. And as you point out, they have lobbyists working all the time to get legislation changed in their favor. Thanks for sharing all your info, insights, and advice! – Deanna. We were able to find a company out of Portland, ME TimeshareReleaseNow.com to help us with our 3 timeshare deeds and we were able to recover all of our initial down payments back. After researching TimeshareReleaseNow.com, it appears to be a legitimate and effective way to get out of a pocket-draining liability of a timeshare. Thank you for the referral! I wish it was as easy to get out of DRI as you have described in your article If it were, we would have been out of it a long time ago, (having inquired on numerous occasions about this already). Instead, year after year, we pay an ever- increasing maintenance fee for properties that are never available, in locations we’ve either already visited or do not wish to see. Who ever heard of purchasing a condo and being told that you will always have to pay the maintenance fee, even after you’ve sold and relocated? I’m sorry but they are notorious for unscrupulous business practices. What I cannot figure out is how they haven’t been shut down before now. I’m sorry to hear that you haven’t been able to get out of your Diamond timeshare. This procedure has worked for many people, but unfortunately, Diamond does not accept everything. They don’t publish their rules on what they will or won’t take back, and I suspect that it may change over time as their inventory fluctuates. All I can suggest is to try again every now and then, following the instructions to the letter. If you e-mail the wrong address, or don’t include the correct info with your request, then it won’t work. Hopefully they’ll start accepting back what you own soon. I sympathize with your situation, and I hope that you’re able to get out of your timeshare. Unfortunately, there’s nothing I can personally do about it — I don’t work for a timeshare company, I’m just a writer. You’ll need to contact Diamond directly and follow the instructions I discussed above. I’m so sorry to hear about your situation! I wish I had better news for you. It sounds like you still owe money on the loan payment, and my understanding is that this will need to be paid off before you can participate in this program. But it never hurts to try, and the worst they can do is say No, right? As for financial info, if it was me, I’d give them anything they ask for if it’s going to help me get rid of a timeshare I can’t use. Wishing you all the best of luck, – Deanna. I have 75,000 DRI points. I read your column back in Nov 2016 and started the process with the loss mitigation group. Here are a couple of things I have found out along the way that I though you and your readers might be interested in. 1. You mention that if you have vacation reservations with your points to use it before this process is started. Well I had saved most of my points to 2017 about mid year in 2016 knowing I was not going to be able to use the points in 2016. I found out that even though my maintenance was paid up for these points in 2016 that I would not be able to keep them for use in 2017 and I had no way to use them in Dec of 2016. So if someone is going to do this I suggest you do it earlier in the year when you have options to use your points for other things like airline points, etc… Right now this is another $14,000 in sunk cost. 2. The $250 charge is not really only a $250 charge. It is $250/contract. in my case every time I added more points it was an additional contract. They never consolidated the contracts. So I had 4 contract. I gave back 67,000 points which was 3 of the contracts and it cost $750 (3x$250). So people might want to look into getting their accounts consolidated into one contract, prior to this process. It might save dumping a few more dollars into this lost cause. 3. I started this process on Nov 19, 2016. I have had to constantly follow up with the Loss Mitigation group on status. As of today Jan 12,2017 this is still not complete. After contacting them a couple of days ago I got a response today that I’m on the cancellation list and to check back in February. In the mean time I paid the maintenance for my remaining 8,000 points in Dec, however the maintenance fees for the other 67,000 points is still open on my account and they won’t let me use my 2017 8,000 points nor my 2016 8,000 carryover points until my account is paid in full or until the Loss Mitigation is complete. Another reason to start this process earlier in the year. So this is not a fun process, but I will be happy to get out from under the $14,000/year maintenance fee cost, which I figured I could use for at least a months worth of vacation without restrictions of a timeshare. Thank you SO MUCH for posting all of these details! This is important info, which could save other people a bundle if they follow your advice to start early in the year. I’m sorry to hear that you lost out on the saved points, and that you end up paying maintenance fees for points you can never use. I’m sure that makes you all the more eager to get rid of the rest of this, and just say goodbye. Good luck, and thanks again! – Deanna. hi Mark, do you have teh specific email/address of the loss mitigation group? i want to get rid of my points and a, struggling to find a contact? thank you. This is helpful information. What is the email address or phone number for DRI loss mitigation department. Thanks for your help. Can someone explain points. I recently was notified that we qualified to get out of our contract. It’s been paid for 30 years but we haven’t used it for medical reasons since 2007. I keep reading this point thing but I have not heard of this term before. We just pay our costly fees each year so need to understand what you all are talking about when you refer to points. Points are just another way of doing timesharing. Instead of owning a week, you own X number of points, and can then spend those points to book your timeshare vacations. If you bought 30 years ago, then you probably own a deeded week. Since you don’t use your timeshare for medical reasons, I’d advise you NOT to pay anybody to switch (or “upgrade”) your ownership to points. If you can’t use your timeshare already, this isn’t going to be worthwhile. And DON’T go with any plan where somebody notifies you out of the blue that they can get you out of your timeshare. Many of these are scams. In your situation, I’d suggest selling the timeshare week you own and don’t use. Depending on what you own, you may be able to get some cash for it, though don’t expect much because resale timeshares usually have little value. If you contact http://timesharestogo.com/, they can give you some info about what your timeshare may be worth. If I was you, I would pay the $250 and get out of that DRI timeshare ASAP. I know it seems more noble to fight the good fight and join a lawsuit, but litigation can go on for years and years, and there’s no guarantee what the outcome will be. In the meantime, you’ll keep getting mounting bills. $250 to make the whole thing go away? That’s what I’d do! I just found your website. It’s great! I was wondering, if I put my timeshares in my trust, are my children obligated to keep them and pay the maintenance fees? Would it be better not to put them in the trust, especially if they don’t want them? Thanks for your message! If your children don’t want the timeshares, then I wouldn’t recommend putting them in a trust. The way things normally work without a trust is that your timeshares would go to your kids, but they would not be forced to take them, and could decline that part of the inheritance. If you go with a trust instead, I’m not sure they would still have an option to decline that. Ii’m not a lawyer, though, so you should talk to somebody who can give you legal advice on this. Also rules do vary from place to place, so a lawyer could confirm for sure how things work in your location. I paid off my Monarch Timeshare before it was taken over by Diamond. Ever since DRI keeps using unethical scare tactics to get me to buy into their Timeshare system by converting me from Monarch points to Diamond points. Which makes no sense since Monarch has been owned by DRI for years. I refuse to pay more money since I’ve already met my end of the bargain by paying off my original debt. Is it possible for me to just get rid of my Timeshare. I’m tired of being harassed every time I use my points and frankly it’s insulting to my intelligence that they continue apply such tactics to make me cough up more money to them. Good for you, for not falling into the plan of converting to Diamond points. IMO, you’re absolutely right not to pay more money to do that. You could try following the instructions from this article about getting rid of your Diamond timeshare. I believe some other Monarch owners have been able to participate in this program, but you’ll have to follow the steps to see if it works for your particular case. We are in our late 70’s and do little traveling anymore and would like to eliminate the timeshare so that our children would not have to deal with it. I totally understand! Hope it works out for you! – Deanna. My father has owned DIR in Branson MO for many years. After trying to get rid of the timeshare for quite some time, he eventuatually found someone interested and was able to transfer the deed successfully. However, the person who’s name is now on the deed no longer wants it and has never paid the resort transfer, so my father is still getting the bills for year maintenance fees. So my question is, if my father stops paying the maintenance fees, does the resort have any legal action against my father, or will they have legal recourse against the person who now holds the deed? It sounds like one of those “halfway-done” transactions. Since you’re talking about a deeded property, then the state real estate laws will apply, but I’d also expect the resort to continue to press your father for fees, since they don’t know who else to go after. Unfortunately, I’m not a lawyer, and I think you’ll need to consult a lawyer with expertise in timeshares in that state, in order to get legal guidance on how to get out of this. Wishing you all the best with it! – Deanna. 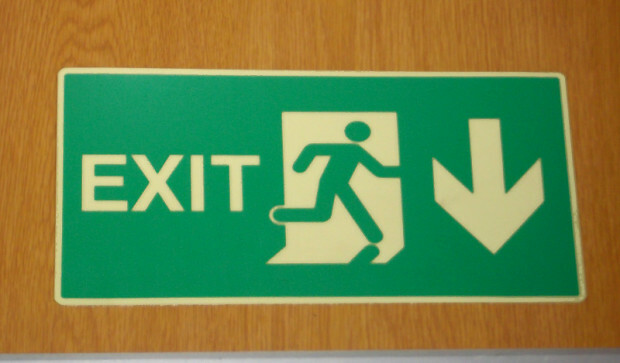 Is this Diamond exit strategy still available since Apollo has bought them? As far as I know, this program is still in place. I think it makes a lot of sense from the company’s perspective, so I wouldn’t be surprised that it continues with new ownership. Of course, they could change their minds at any time, so if you’re thinking of going for it, I’d move on it sooner rather than later! Yes, Richard, the program is still in place. We just completed it. I have to say I just went through the process and it took a month. It was pretty simple and painless and only cost $250. The lost mitigation email for DRI is LossMitigation@diamondresorts.com. But if they end up changing it again just ask diamond for the lost mitigation department email address and they will provide. Hopefully it is easy and simple for everyone else too. This website was really helpful. My wife’s father “generously” gave us his diamond timeshare, he thought it was less than 1000 per year, we come to find out its more like 3,000 + another 1,000 on maintenance fees for our home resort. I read about this voluntary surrender and we plan to use the poitns and go that route, I figure you get one shot at it so I was hoping to get some feedback on the best “reason” to use for voluntary surrender? That’s an expensive gift, for sure! 😉 I know people have been successful citing financial hardship, so that’s what I would choose. I have a feeling that your chances of success depend less on the reason you state, and more on how much the company wants your timeshare. In any case, good luck with it! Your website was extremely helpful. We emailed DRI Loss Mitigation and got a response immediately approving our request. It took three months to get the paperwork, but it did arrive. Sign and have notarized one document and return with $250. That’s all!! We exchanged two weeks of Liki Tiki for 15,000 DRI points. M&T was $1,000 the first year; $2,000 last year; and $4,000 this year. We just couldn’t afford the fees any longer. Thank you again for your website. Your tips saved us thousands of dollars and took a big monkey off our backs. It also walks you through some of the “qualifications” to do so. Naturally, you have to have paid off your membership and be current on all dues. My son who is in Air Force (only 25 y rs old) went to a.presentation and was sold a timeshare. Being young and naive and caught in the moment purchased. It is $500+ a month. He only makes $26000 in salary. What processed him but on their part he cannot afford this. Should he go to a lawyer? What happens if he stops paying on it? They are such scammers and to read all the other people this company is a nightmare. I’m so sorry to hear about your son’s quandary! Diamond does have a take-back program, but since his is obviously not fully paid off, he would t qualify for that. I’d suggest that he contact Irene Parker, who has been doing advocacy work for Diamond owners who bought based on misleading information, especially with a focus on people in the military. Check out her articles here, and read what she has to say about other military experiences. I hope you and your son can find some resolution. Forgot to mention this is a Diamond Timeshare bought in Vegas.